Whether you have an existing patio or would like to install a whole new patio, there is an endless array of possibilities for turning your yard into a true oasis of comfort and style. Patio designs are more customizable than ever before; just about anything you can dream up can be made a reality. All you really need is a basic concept and a professional, capable concrete or patio contractor, and the sky really is the limit. There are so many exciting materials and colors to choose from when it comes to new patios. Select from your choice of a concrete, brick, slate or stone patio; try a truly innovative and creative style with interlocking pavers. Choose a color scheme that plays up and enhances the natural beauty of the flowers and other vegetation in your yard. Make your patio a place that people will naturally gravitate to when they want to spend time together, as with backyard parties and barbecues. Enjoy some of the finest moments and celebrations in your life amid an artfully crafted patio. The best part about designing and installing a new patio is that you absolutely do not need to do it alone. By hiring a high quality patio contractor, you can take any vision you have and make it into concrete reality. 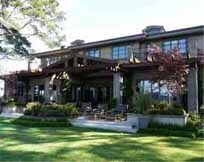 In Marin and Sonoma Counties, Van Midde and Son Concrete has long been the premier choice for people looking to revamp the landscaping of their home. Around San Francisco, Van Midde and Son Concrete is synonymous with high quality patios, and its little wonder. With over 50 years of experience, they can skillfully assist you in any project you can dream up. No matter what kind of patio idea you may have, placing a call to Van Midde and Son Concrete can set the wheels in motion. In no time at all, you can begin enjoying the luxury and comfort of your very own, custom designed patio. Friends, family and neighbors are certain to be impressed and awed by the elegant design of the stone or brick patio that Van Midde and Son Concrete helps you create. To us, patios are more than just a concrete slab to slap a barbecue grill on; they are works of art. We believe that the outdoor decor of any home can be dramatically enhanced by a well designed patio. 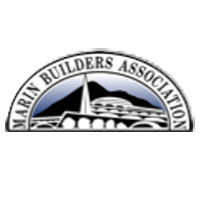 Located in San Rafael, Van Midde and Son Concrete installs concrete patios in Marin County, Sonoma County and throughout the San Francisco Bay Area.